What To Do With Stray Cats In Your Yard. I live on an Air Force base and we have a couple of feral and stray cats come visit our back door most nights and early mornings. Nothing too bothersome until my little girls started leaving food for them without us knowing. We dug into how we could decrease the number of strays coming around and help our indoor cats from freaking out each night. So, what do you do with stray cats in your yard? You should begin by taking pictures and posting flyers asking if any of the cats are owned. If any of the cat(s) will let you, you can put a breakaway choke safe collar on the cat with a note asking if the cat is owned, and for the owner to give you a call. In the flyer and the note, it’s only fair to warn any owner that, if they don’t call, you will look for a home for the cat(s). If an owner does get in contact with you, let them know that their cats have been in your yard and that you are worried about their safety. Be friendly and open, not accusatory, because sometimes people get defensive when it comes to animal issues. Instead, express that you are on the same side as the owner, not accusing them. 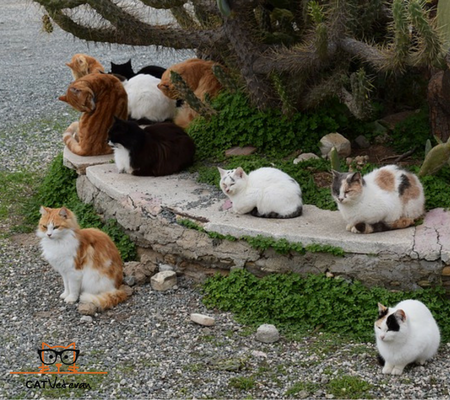 Explain that you are concerned about the cat, and bring up any dangers you think are an issue – loose dogs, busy roads, other animals, as examples. The average outdoor only cat lives about two years, the average inside/outside cat lives about eight years, and the average inside only cat lives about fifteen years. Many people feel that cats live a better life if they can go outside and play, but with some thoughtful additions to their home, they can live a better and much longer life indoors. If they have a cat tree to climb, and some toys that work with their instincts and keep their interest up, then they will be happy – and long lived – cats. Work with owners on a compromise that makes everyone happy. What If No One Gets In Touch With Me? If no one claims the cat(s), but they are friendly strays, put up found flyers and run a free found ad in your local newspaper. If any of the cat(s) are tame, take them to a vet and get them scanned for a microchip to see if they have an owner that can be located. If you get no response to your advertisements, clip or print out a copy of the ad and flyer, jot down the dates they ran, and begin to look for a home for the cat(s) (or adopt them yourself). If you can prove you looked for an owner for a reasonable amount of time (legally it varies, but 14 to 30 days is usually required) and no one claimed the animal, then it is considered a stray. 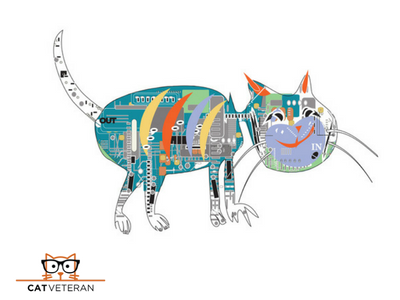 If you are interested in microchipping your own kitten/cat, you can read more here. Where Do You Take Stray Cats? You could turn the cat over to animal control, but most government run animal shelters have a 95+% euthanasia rate. Call them to ask what their policies are, and ask about their success rate. Some states only require them to keep a stray for three days before euthanizing them – and the facility doesn’t even have to be open those days! These agencies do their best, but the problem in most areas is just that out of hand. Unless you live in an area that does a great job of finding homes, adopting the cat yourself or finding it a home on your own is the kindest thing to do. If the cat(s) are friendly, take pictures and post them to online classified sites and make flyers to put up at local veterinarian’s offices. Write a description of his personality and, with persistence and patience, you can find him a good forever home. If the cat(s) hanging around are feral, your options are different. Once you establish that they are not owned and are feral, talk to your neighbors about formulating a neighborhood plan. Check with your local animal control about very low cost spay/neuter options for feral cats. Check out the website of Alley Cat Allies (alleycat.org) to see if there are any local Feral Friends volunteers to help you. They have many great resources on their website. 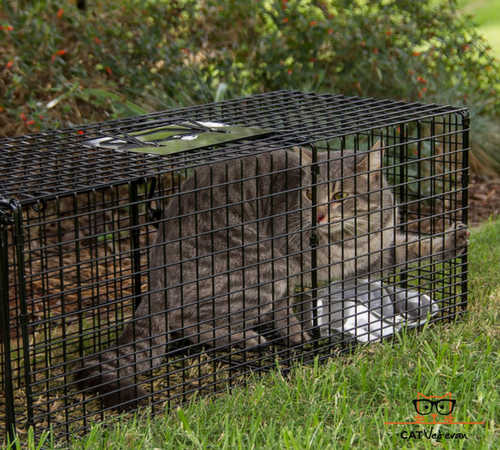 Many people think the only thing to do with feral cats is trap them and turn them in to animal control. This policy of trap and euthanize usually won’t fix the problem. If there are cats hanging around, there is a food source. If you get rid of some cats, more will just move in. The best plan is to do something called TNR, which stands for Trap Neuter Release. This means that you work on trapping them, getting them spayed or neutered, and release them back to your area. Most feral spaying and neutering programs will tip the feral cat’s ear – trim the top of one ear in a straight line as a visual indicator that this cat is fixed and not reproducing. 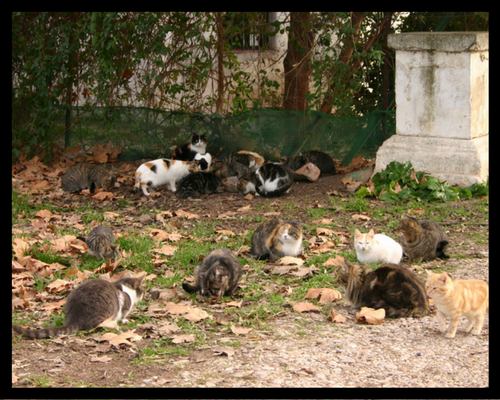 If you can educate your neighbors about TNR (again, Alley Cat Allies has great resources for this) and get all the feral cats in your neighborhood fixed, you will stem the growth of the cat population, and the released cats will keep more cats from moving in to their territory. Many of the behavioral issues people complain about regarding strays – such as fighting and urine marking – will be eliminated and you will have free neighborhood rodent control. TNR is really the only policy that works. If the cats are feral and absolutely cannot stay in the area, the third choice is to contact your local feed store or horse associations. Many people with horses and livestock are very happy to have barn cats to keep the rodent population down in their barns. Once you find a group willing to give homes to feral’s, you could trap them and get them to a vet for spaying and neutering, and then the barn owners could pick them up from the veterinarian’s office, set them up in a safe enclosed area for a couple of week so they can settle in, and then release them to the area. You want to look for responsible owners who will provide water, a safe place to sleep, and some dry food daily (especially in bad weather). In return, the cats will stay in the area and provide expert rodent control. It may seem overwhelming, but it isn’t – it can grow to be, though, if no one steps in to address the issue and improve the situation. Assess the situation, get your neighbors involved, choose the best plan, and work together to give these cats a chance at longer, healthier lives. My neighbor and I worked together to get a handle on feral cats in our area, spaying/neutering and releasing the feral’s, finding homes for the friendly strays and feral’s who were young enough to be tamed. Together, we took care of all the cats – and became really good friends in the process. Stray cats in your yard may seem like a problem, but they are an opportunity for you to step up and make your little corner of the world a better place for everyone. Absolutely the “best” plan is TNR. We have a small colony of ferals that we began feeding about ten years ago. At their most, the number eight, and some seasons as low as three (depending on their nature and if they take too many road risks) We have also provided sheds and shelters within those sheds and have run heat out to our back porch to help them in winter. Ferals provide a service to the community, in that, they keep the snake, rat and mice population really down. However, if a neighbor does not want a feral in their yard, I would suggest a water hose, humanely set on light shower, as they will definitely get the message. A person doesn’t even have to touch the cat directly with the water, just spray near enough that it will deter them and stay at it, they won’t come back into that area. Better still, learn to live with them. You will grow as a person in doing so.